Named in honor of a revered professor, a unique learning center focuses on ocean observing, collaborative studies, and big data acquisition. The wall of video monitors relays constant information from around the world in real time. Debbie Thomas demonstrates the measurements that the glider (automated underwater vehicle) is sending from the Flower Garden Banks Marine Sanctuary in the Gulf of Mexico. Measurements include oxygen levels, temperature, salinity, and chlorophyl. Zach Rolewicz is a master's student, and Heather Zimmerle, MS '14, is a research associate in Oceanography. The Department of Oceanography will formally dedicate the Robert O. Reid Ocean Observing Educational Facility, named in honor of a beloved faculty member and conceived as a unique learning environment for current and future oceanographers. 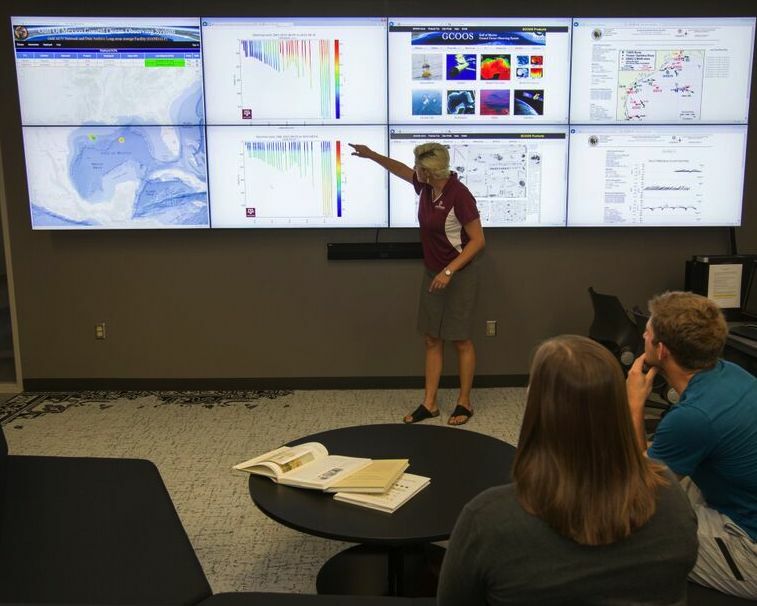 Designed to provide a highly collaborative and interdisciplinary learning environment for both graduate and undergraduate students, the two-room suite features space that visually and technically enhances students’ access to ocean-observing and oceanography tools, techniques and data. The first room features a wall of video monitors for the display and analysis of real-time and recorded data from ocean monitoring sources and devices, including buoys, gliders, imaging flow cytobot, ferry boxes, flow-through systems, and satellite imagery. The information streams from around the world, including the Gulf of Mexico and the Eastern Mediterranean, among others, in cooperation with the College of Geosciences’ global research partners. The interior room is home to a computational learning facility used for courses involving numerically intensive instruction, including big data, data methods and analysis, and programming. It is also set up for distance education learning. The named facility honors Dr. Robert Osborne Reid, who died in 2009. Dr. Reid joined Texas A&M University in 1951 as one of the founding members of the oceanography department and quickly became recognized worldwide as a prolific and eminent researcher. 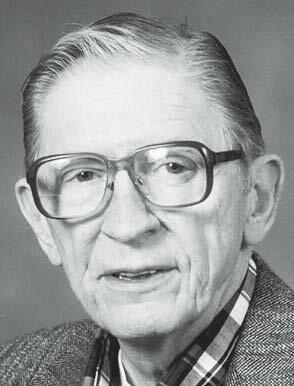 At Texas A&M he was named a University Distinguished Professor in 1978, the first designee for the college, and during his tenure, he received an Association of Former Students Distinguished Achievement Award for both research and for teaching and the Minnie Piper Foundation Award for Teaching. He also was granted the Special Award of the American Meteorological Society and the Medal of the University of Liege, Belgium. He was a Fellow in the American Geophysical Union and a member of the National Academy of Engineering. The formal dedication is at 4 p.m., Friday, Aug. 21, in Room 602 of the Eller O&M Building, with former students, colleagues and family members invited to attend.